In this post, you’ll learn my tip for how to start a gratitude journal that actually works. I know you’ve heard it before, “Remember what you’re grateful for”. Or, maybe you’ve heard about some of the awesome benefits practicing gratitude has. Maybe you’re thinking to yourself, “yeah Monica, I’ve tried that, but it doesn’t work” but stick with me, because I have a tip I think will you’ll get results from. 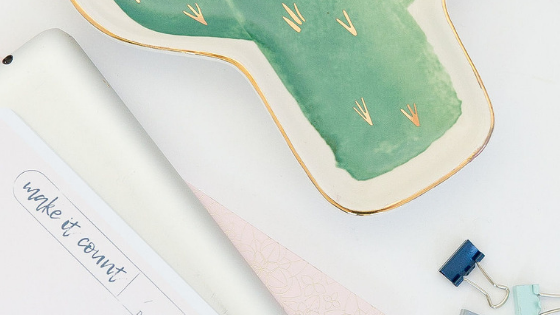 It may seem like we’re all drowning in an never ending pile of to-do lists and if that’s how you feel, committing to a gratitude journal everyday can just seem overwhelming. But I’m telling you that having an EFFECTIVE gratitude practice can help you actually take stress off. Which, for me, sometimes takes up a ton of my day. If you don’t commit to doing it in a routine. Just like if you want to loose weight or save money, you have to do it every day. What if, you’re being too BROAD with what you’re writing down? It might be obvious for you to write these things down in a gratitude journal. Maybe even a little TOO obvious. When I wrote those three things out, I just listed the top three things I use to list almost everyday. And just like doing something everyday like a chore, it takes the fun and the impact out of it. If you’re just writing the first couple of ideas you have of things to be grateful for, then you probably didn’t actually think about the fact that you’re actually grateful for them. Don’t get me wrong. I’m sure you ARE thankful for them, overall. But, is that what you’re actively grateful about in that moment? Forcing ourselves to dig deeper on WHY we’re grateful for seemingly “obvious” choices, really opens our eyes to how lucky we are to have it. The University of Southern California did a study that showed that when people wrote down more specific reasons why they’re grateful for something, they were happier! If you’re current list looks like the one above, and you’re not feeling the awesome effects of gratitude journaling don’t worry. All you have to do is just get specific! So if you’re still feeling unsure, let me give you an example. 5️⃣I don’t feel pressured to be anything I’m not around him. Keep the conversation going! I want to know what you’re grateful for, or if YOU are going to start your gratitude journal that actually works. And before you go, don’t forget to become a member of our awesome email tribe! Each week, I’ll share exclusive freebies and inspiration I don’t share anywhere else. Hey, you gotta show them love right? I write about my dogs and husband often. But now I’m actually being challenged as to what they did that made me think of them in first place! I love this post. A gratitude journal is a good idea to help stay positive. I was one of those people who was doing it all wrong. My list looked lke the first one so I didn’t regularly keep up the practice, but I will try it again. Thank you for sharing. Oh I really hope you do!! You’ll start to notice small things through your day to be grateful for! You are so right… sometimes I do my gratitude journal and just write something silly to fill my list of 3 things but on those days I am now going to just choose one and dig deep as to why. Fantastic idea! Yeah! I totally did the same thing, but listing out the stuff off the top of my head quickly turned into another dreaded “to-do” that I didn’t actually do! Oh I hope you do! Especially if you’re specific with WHY you’re grateful for what you’re grateful for! I’m telling you, it’s life changing!! Get access to my free resource library and weekly tips and motivation I only share with my awesome email tribe. LEARN HOW TO START HEALTHY HABITS THAT STICK. In this free 7 day challenge, you'll start meditating, drinking more water and becoming grateful for the life you have. 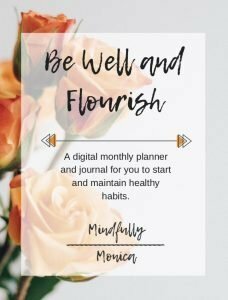 ...also gain access to my free resource library to help you live your inspired, healthy lifestyle.